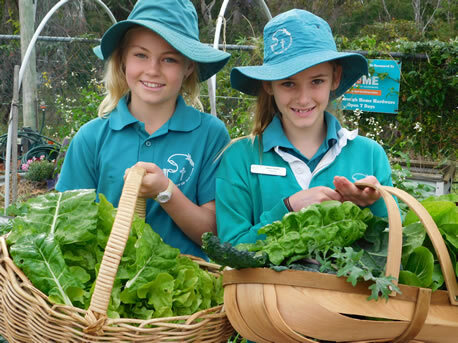 The Growing Food for the Community Program was initiated in 2013. 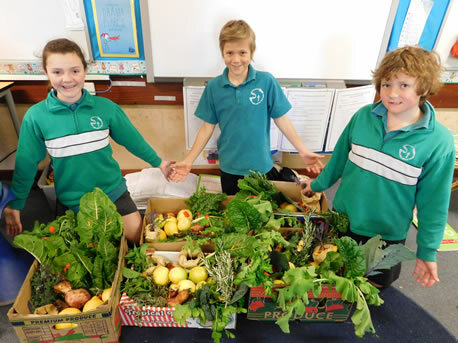 During term 2 the Year 6’s learn how to grow vegetables organically. These lessons are ‘hands on’, with students planting out cool season vegetable seedlings and sowing seeds for the Autumn Plantings. Other key aspects of learning, include soil analysis and integrated pest management such as companion planting and attracting beneficial insects. Once the vegetables are ready to harvest, the vegetables are picked, washed and presented in hampers ready to be collected by a representative from Saint Vincent de Paul. These hampers are then distributed to those in need in the local community. This is an important project, truly embodying the school’s core values, teaching students how they can actively show compassion for others. 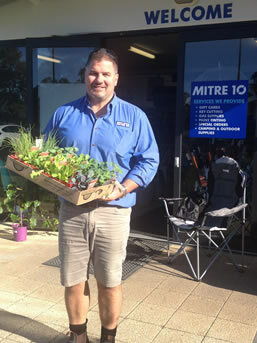 This program is a great example of a combined community effort comprised of a local business, (Dunsborough Mitre 10), parent volunteers, teachers, students, Saint Vincent de Paul and community members. Working together to make a positive difference for those in need in the community.